Russian Prime Minister asked the Indonesian president to convey "the words of empathy and support to the families of those killed and wishes of the soonest recovery to those injured and hurt." MOSCOW, December 23. /TASS/. 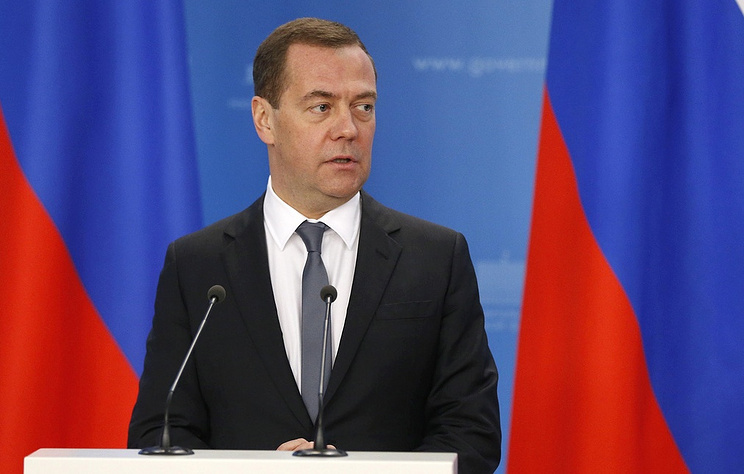 Russian Prime Minister Dmitry Medvedev has offered his condolences to Indonesian President Joko Widodo over numerous human deaths caused by a devastating tsunami, the press service of the Russian government said on Sunday. "On behalf of the Russian government and on my own behalf, I offer sincere condolences over numerous human deaths caused by a devastating tsunami in the Sunda Strait that followed a Krakatoa eruption," the prime minister said in a message of condolences. He asked the Indonesian president to convey "the words of empathy and support to the families of those killed and wishes of the soonest recovery to those injured and hurt." A tsunami struck areas of the Sundra Strait separating the islands of Java and Sumatra. A spokesman for Indonesia’s disaster agency said the tsunami might have been caused by the recent Krakatoa eruption. According to the latest data, the death toll from the tsunami reached 222. A total of 843 people were hurt and 28 more are reported missing.